Show support of your favorite team with this officially licensed NCAA pet collar! Show support of your favorite team with this officially licensed NCAA pet collar! 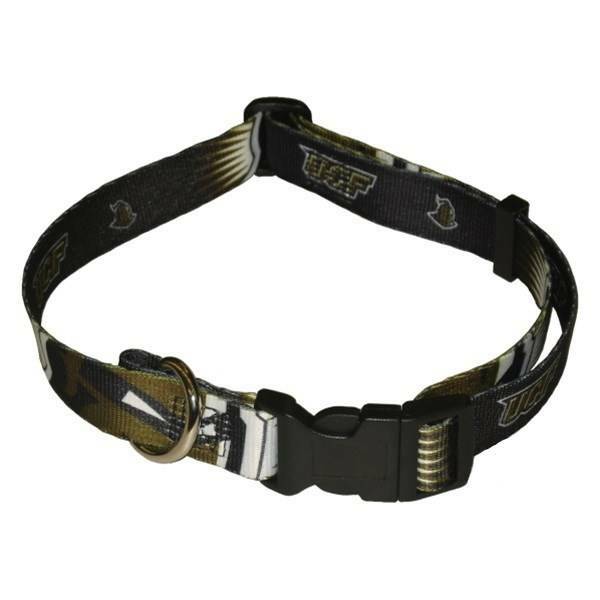 Designed with team graphics, this nylon collar is fully adjustable and features a sturdy quick-release buckle, for easy access on and off, and a durable nickel plated D-Ring.